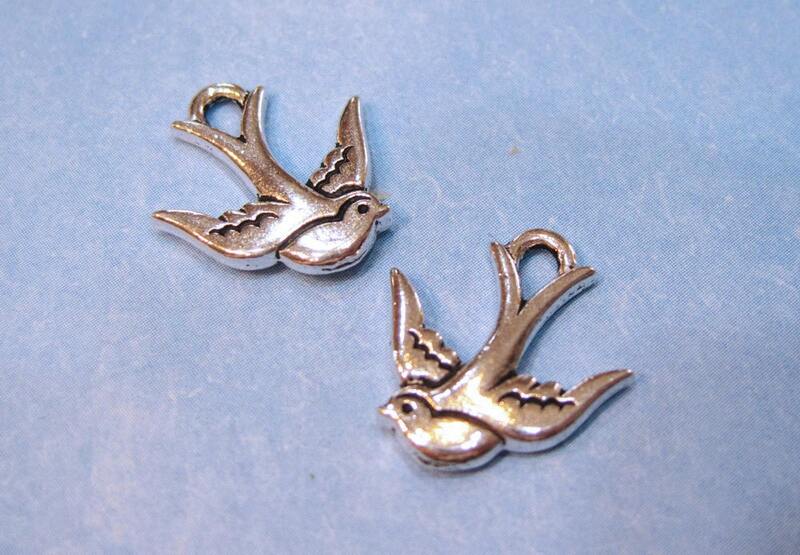 One lovely little flying swallow bird charm from Tierra Cast. Love this charm, got both colors. Beautiful bird charms. Fast shipping!! Thanks so much for the lovely beads! !